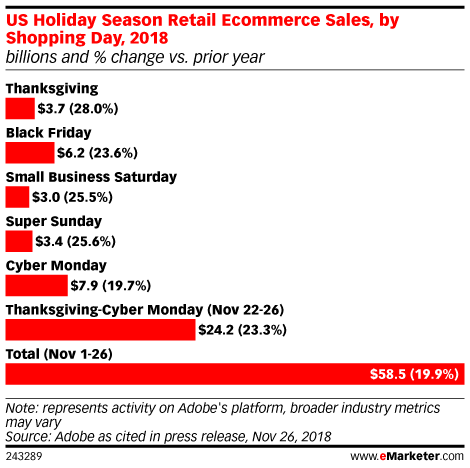 Data is from a November 2018 Adobe study as cited in company blog. The report model is based on analysis of 55 million SKUs and 1 trillion visits to over 4,500 retail sites. Adobe Analytics measures 80% of digital transactions at the largest 100 US digital retailers.